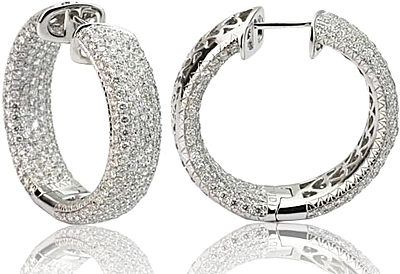 These 18k white gold diamond earrings feature pave set round brilliant cut diamonds inside and outside of the hoop. This item normally ships within 1 week. Shipping may be delayed with certain styles or ring sizes.